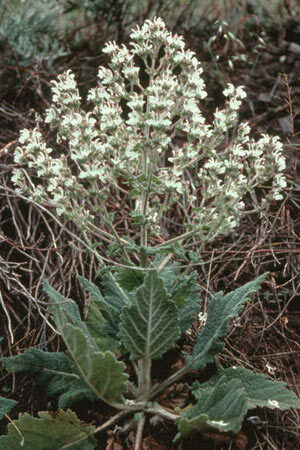 Mediterranean sage is a designated as a Class A weed by the Washington State Noxious Weed Control Board. It is an aggressive species that is not palatable and out-competes desirable forage plants in dry pastures and range-lands. Mediterranean sage reproduces by seed and acts like a tumbleweed to disperse its seeds. The Columbia County Weed Board offers a cost share program for the control of Mediterranean sage in Columbia County. When controlling weeds, proper disposal is very important. Depending on the plant species, growth stage, and quantity, disposal methods can vary. In general, if plants are flowering, cut and bag flowers when possible to prevent seed development and dispersal. Seal bags and put them in the trash. If plants are NOT flowering and do not spread vegetatively, the plants may be able to be pulled up by the roots and left on the ground to dry out. 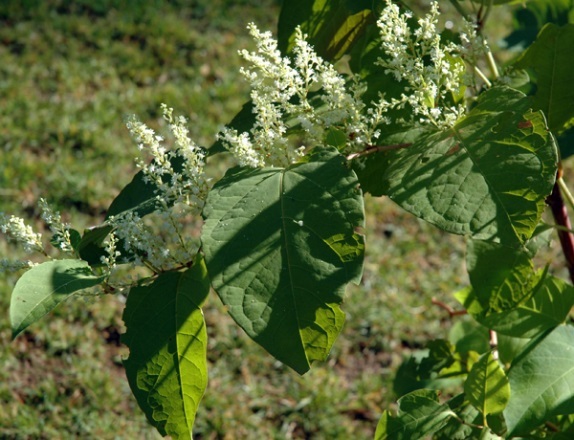 Check out this publication for all the specifics about how to dispose of noxious weeds. Not sure what kind of plant you have? Call or stop by the office to have the weed identified before you begin to control it. 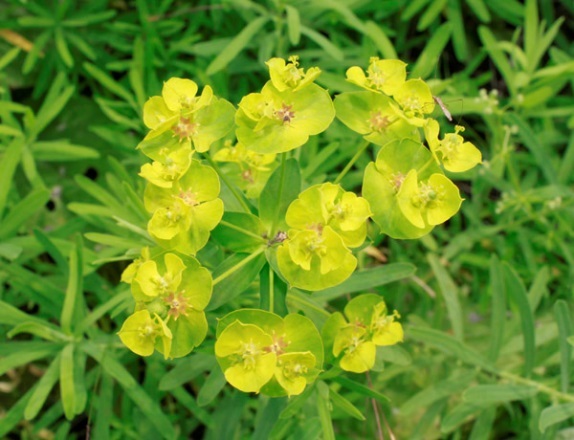 Identifying the weed will insure that you are disposing of the weed correctly. The Weed Board offers cost sharing for two other Class B weeds other than Yellow Starthistle. Those weeds are Japanese/Bohemian Knotweed and Leafy Spurge. 100% of herbicide cost the first treatment year. 75% of herbicide cost where treatment is needed the second season. In year 3 and following years, herbicide cost share will be evaluated on a case by case basis.